Miri – 16 April 2013 – Two students of Curtin University, Sarawak Malaysia (Curtin Sarawak) recently represented their varsity’s Institution of Electrical and Electronic Engineers (IEEE) Student Branch at a leadership camp organised by IEEE Malaysia Section in Kuala Lumpur. The students were third-year electrical power engineering student and IEEE Student Branch chairperson Esther Ling, and third-year electronics and communications engineering student and IEEE Student Branch secretary Saaveethya Sivakumar, who also happened to be the only representatives from Sarawak at the camp. 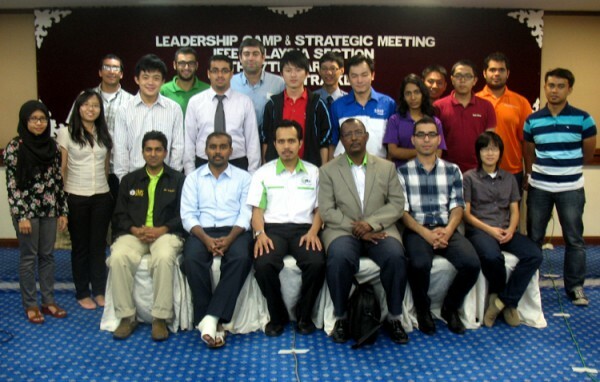 The objective of the camp was to bring together representatives from student branches and technical chapters of the IEEE within Malaysia to encourage networking and exchange of ideas. It was also attended by representatives from Monash University, Nottingham University, Universiti Kebangsaan Malaysia, Universiti Putra Malaysia, Universiti Sains Malaysia, Universti Malaysia Sabah, Universiti Teknologi Mara, Universiti Teknologi Petronas, International Islamic University Malaysia, Universiti Malaya and Multimedia University. During the camp, a student representative and student representative elect were elected to represent all students in IEEE Student Branches across Malaysia. Saleh Javadi, outgoing chair of UKM Student Branch was elected as this year’s representative, while Ling was elected as next year’s representative. Both students will be representing Malaysia’s IEEE student ambassadors at the IEEE Conference to be held this July in Hyderabad, India. In addition, the Curtin Sarawak students had the opportunity to share their experiences and the events organised by their student branch. According to Ling, the IEEE Student Branch of Curtin Sarawak aims to inspire engineering students to reach their full potential in line with IEEE’s motto of ‘Advancing Technology for Humanity’ and regularly organises site visits, technical talks, competitions and social activities for its members. She added that being the only IEEE student branch in Sarawak does pose a minor challenge in that it is difficult for its members to participate in activities organised by student branches in West Malaysia due to the distance and costs involved. However, to bridge the gap between the two regions, the IEEE Student Branch of Curtin Sarawak and Engineering for Medicine and Biology (EMB) Malaysia Chapter are co-organising a national-level exhibition at the Curtin Sarawak campus from 22 to 23 August 2013. It will be open to all IEEE student branches nationwide, as well as students of all universities in Malaysia, and will feature engineering projects by students as well as awards in different categories. The head of the Department of Electrical and Computer Engineering (ECE) at Curtin Sarawak, Associate Professor Dr. Ashutosh Kumar Singh, thanked Ling and Saaveethya for representing the department at the camp. “I would also like to congratulate Ling on her appointment. The Department of Electrical and Computer Engineering always encourages its students to take the part in national and international competitions and to organise workshops and camps to develop their soft skills,” said Associate Professor Ashutosh. For more information on the IEEE Student Branch of Curtin Sarawak, e-mail ieee.curtinsarawak@gmail.com or visit its website atewh.ieee.org/sb/malaysia/curtinsarawak. 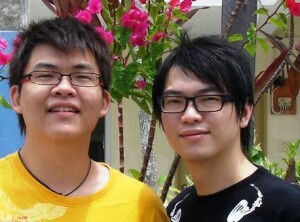 One can also visit its Facebook page at www.facebook.com/CurtinSarawak.IEEE. Ling (seated right) and Saaveethya (standing, 5th right) posing for a group photo with other camp participants. Ling and Saaveethya discussing ideas with other student representatives. Miri – 23 April 2013 – Esther Kueh Yue Ning, who is pursuing an undergraduate degree in electrical power engineering at Curtin University, Sarawak Malaysia (Curtin Sarawak), recently became the first student of the university to receive the prestigious Maxis Scholarship for Excellence Award (MSEA). Kueh, who was unable to receive the award in person due to study commitments, was represented by her parents at the award ceremony held at Menara Maxis, Kuala Lumpur City Centre. 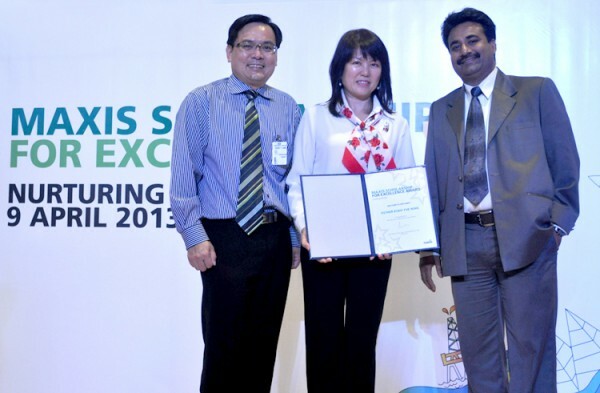 They received the award from the chairman of Maxis, YM Raja Tan Sri Dato’ Seri Arshad Raja Tun Uda, on her behalf. The ceremony was attended by other award recipients and their family members, members of Maxis’ Senior Leadership Team and the MSEA selection panel, as well as university representatives, which included the head of the Department of Electrical and Computer Engineering at Curtin Sarawak’s School of Engineering and Science, Associate Professor Ashutosh Kumar Singh. A total of 16 students received the award. Kueh’s parents said that the recognition given by Maxis is a milestone achievement for their family and will be a big encouragement to Kueh in her studies and future career. The MSEA recognises young and outstanding undergraduates in Malaysian universities to develop and enrich their communities. The scholarship is part of Maxis’ overall Corporate Responsibility (CR) agenda that focuses on education and community-based activities. Each award recipient went through a rigorous two-level interview process and was selected in the final stage by a panel of distinguished judges. This year, a total of 2,000 applications were received. The scholarship provides the recipients financial aid of RM10,000 per year until completion of their courses and allows them to pursue undergraduate studies locally and abroad. 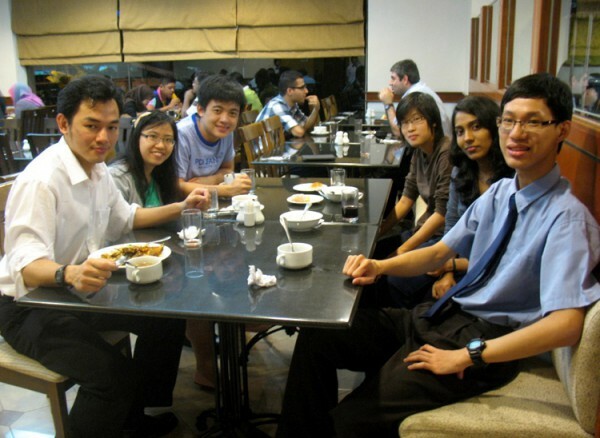 Past recipients of the MSEA have gained entry into a number of Malaysian public and private universities including Universiti Malaya, Universiti Sains Malaysia, Monash University and International Medical University, as well as universities abroad, namely the London School of Economics, King’s College of London, Columbia University and Harvard Business School. Associate Professor Dr. Ashutosh Kumar Singh (right) and Kueh’s parents at the award ceremony. Miri – 17 January 2013 – A higher degree research (HDR) student from Curtin University, Sarawak Malaysia (Curtin Sarawak), Lue Ik Hong, became the university’s second recipient of a MyBrain15 scholarship for postgraduate study. A Master of Philosophy (Electrical Engineering) student, Lue works under the supervision of Dr. Wong Kiing Ing, Senior Lecturer of Electrical and Computer Engineering (ECE) of Curtin Sarawak’s School of Engineering and Science. A fellow student, Billy Lau Pik Lik, also from the ECE Department, was awarded a similar scholarship last year. The prestigious MyBrain15 scholarship programme was established under the 10th Malaysia Plan to provide financial assistance for Malaysians to pursue postgraduate study at Masters or PhD level. It aims to create a pool of sophisticated intellectuals who can lead the development of new research and innovation in the country. It offers three scholarship schemes, namely MyMasters, MyPhD and Industrial PhD valued at RM10 000, RM24 000 and RM50,000 respectively. Lue’s research into dynamic voltage scaling (DVS) algorithms for soft and hard real-time systems looks into energy efficiency of small, low-cost electronic devices combined with advanced real-time signal processing and information extraction. Energy consumption has always been a challenge in designing battery-powered electronic devices such as wireless sensors used for monitoring environmental conditions. Lue’s research investigates DVS to further minimise the energy consumption of microprocessors and prolonging the operational life of real-time systems. The study of the energy efficiency of such devices is particularly important because constant recharging or changing of sensor batteries can be costly or difficult in certain hazardous environments. Expressing pride in Lue’s achievement, Dr. Wong remarked, “Ik Hong is an outstanding, very hardworking student. 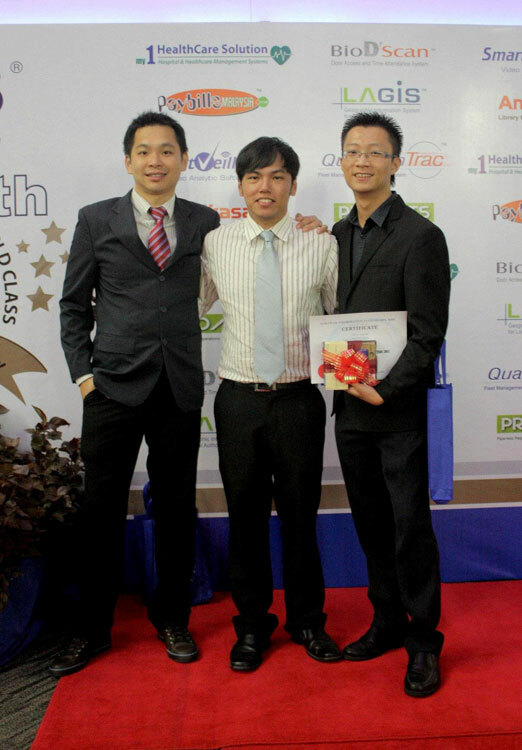 In November 2011, he outshined students from other institutions of higher learning in the state to claim first prize in the 2011 Sarawak Open Source Competition.” Lue’s project entitled ‘Low-cost, scalable, real-time, continuous monitoring and assessment of sewerage system based on Wireless Sensor Networks (WSN)’ won him the prize from Sarawak Information Systems Sdn. Bhd.